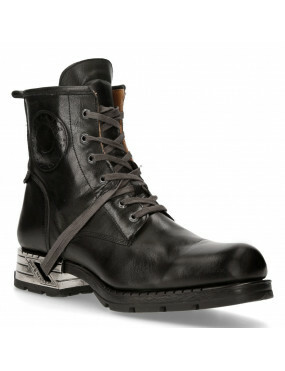 Black Leather New Rock Boots with Flame Printed Buckles and Plates. Fastening: Buckle / Laces / Zip. (From top of heel to top of boot). Diameter: 12.6 inches (32 cm). Heel Height: 2.2 inches (5.5 cm). Platform / Sole Height: 1.2 inches (3 cm).